I’m sure you have used a square one, but did you know these where originally ROUND? Congratulations to Andrew Conrad of Nitro. 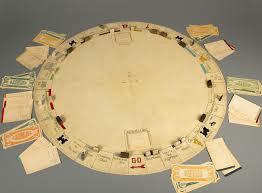 A toy collector himself, he knew that the original Monopoly Boards were round.